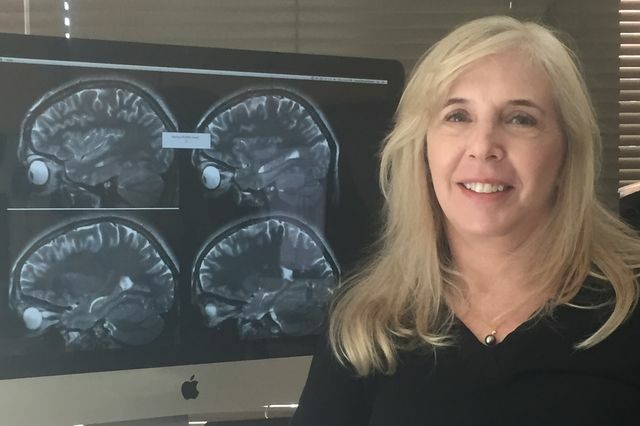 Susan Bookheimer, with scans of a healthy brain, researches the individual variations in the symptoms of autism spectrum disorder. The National Institutes of Health, recognizing UCLA’s leadership in understanding and developing interventions for autism spectrum disorder, has renewed its support of the UCLA Center for Autism Research and Treatment with a five-year, $9.7 million grant. 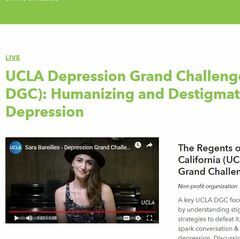 The Autism Center of Excellence grant is directed by Susan Bookheimer, director of the Intellectual and Developmental Disabilities Research Center at UCLA. It supports research projects led by autism experts Mirella Dapretto, Amanda Gulsrud, Dr. Shafali Jeste, Connie Kasari, Elizabeth Laugeson, Dr. Daniel Geschwind and Dr. Jim McCracken. 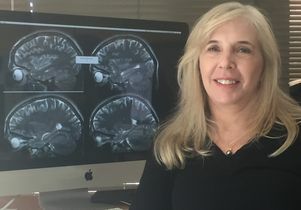 “This renewed support will allow UCLA to continue our decade-long preeminence in groundbreaking autism research,” said Geschwind, the director of the UCLA Center for Autism Research and Treatment and a distinguished professor of neurology, psychiatry and human genetics. The research focuses on individual variation, or heterogeneity, in the symptoms of autism spectrum disorder. UCLA scientists are looking for clues that may help determine which children will develop autism, which genetic factors contributions to autism and which treatments are most effective for different children. Autism Center of Excellence awards support innovative, multidisciplinary research aimed at developing interventions and services for people with autism spectrum disorder. Almost 1 in 68 children in the U.S. have such a disorder, according to the Centers for Disease Control and Prevention. The awards also are funded by the National Institute on Deafness and Other Communication Disorders, the National Institute of Environmental Health Sciences, the National Institute of Mental Health, and the National Institute of Neurological Disorders and Stroke. The grant will enable Bookheimer and colleagues to research sensorimotor processing, or how people process information from their senses; social motivation, the need to interact with others and be accepted by them; and social communication, the ability to use language and gestures for interactions with others. They will also test a medication to see if it can improve social functioning. UCLA also is home to an Autism Center of Excellence Network grant focused on genetic studies in African-American families, which have been previously underrepresented in research about autism spectrum disorder. That grant is led by Geschwind and involves scientists at Emory University, Washington University in St. Louis, Albert Einstein College of Medicine, Johns Hopkins University and UC San Francisco. In addition, Dapretto, Bookheimer and Geschwind and UCLA colleagues are participating in a study led by George Washington University, and funded by another Autism Center of Excellence Network grant. That project is investigating why girls are diagnosed with autism spectrum disorder much less frequently than boys. Researchers will follow children through adolescence and into adulthood to understand differences in risk between boys and girls and in how they respond to interventions.